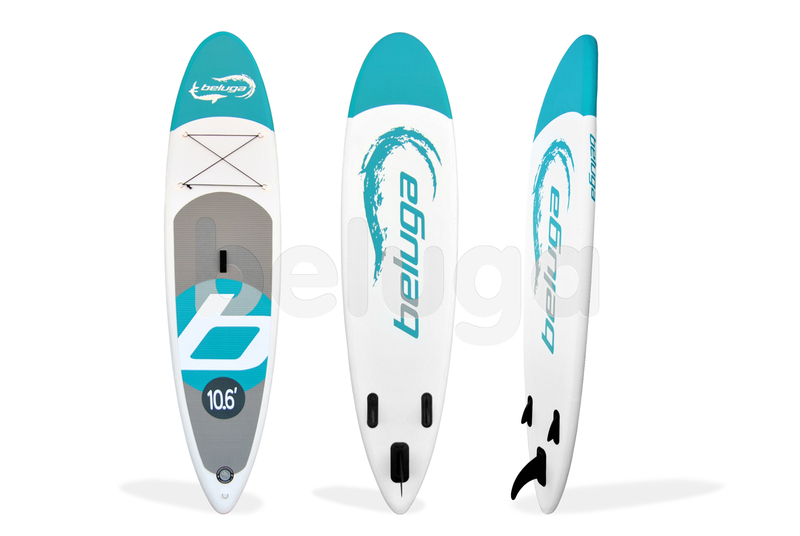 Unbelievable stiffness, great stability and comfortable paddling are far from complete list of the advantages of Beluga 10'60 All Round Cross Paddle Board. 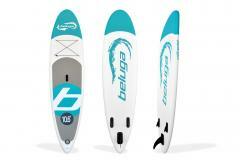 A lot of users agree that the model is the most popular single inflatable SUP all around the world. 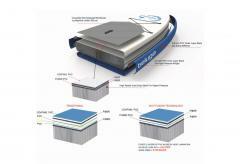 Its form provides safety for riders, and its size will be the best for users of about 209Ibs/95kg. 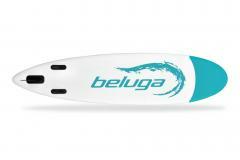 Beluga 10'60 All Round Cross Paddle Board is quite effective on flat water or within wave cross over. Light weight and compact size of the model provide easy use and care. This board is simply excellent! It perfectly floats! Once I tried other boards, and to my regret they often turned over, because of my big weight. But this board very easily maintains my weight. I weigh 85 kilograms. And it, you see, is a lot of. I am very happy. Comfortable boards for big people. Hi, everybody. My name is Patricia. I am a young yoga coach, and quite recently I learned to practice yoga by traditional methods. But today in a trend it the yoga on SUP, and when I have heard it, I have picked up this trend and I use it in my trainings. 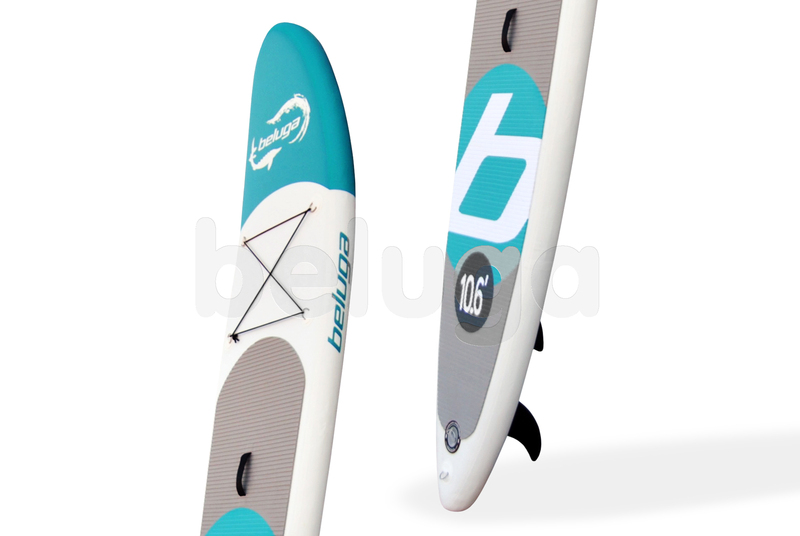 This board is perfectly suitable for yoga trainings, perfectly floats, doesn't leave from the legs. I am very happy that I could get this find in the world of sport and yoga. I want to write several words about this board. It is intended only for paddling. It isn't necessary to try to surf on this board. 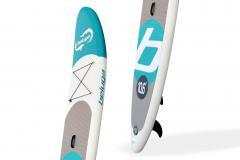 Apparently on design, a board is roundish, what doesn't do it adapted for surfing. But..... this SUP is for paddling just magnificent. 5 stars, and I know that it isn't vain. I just have no words. It is a fantasy. Fine board. The fact that it is necessary for me today. Aquamarine! Aquamarine! Aquamarine! Aquamarine! Aquamarine! My favourite color. It will be combined likely with my bathing suit. The husband has presented me this board, and I have just fallen in love with it. Now it is necessary to learn to ride it. 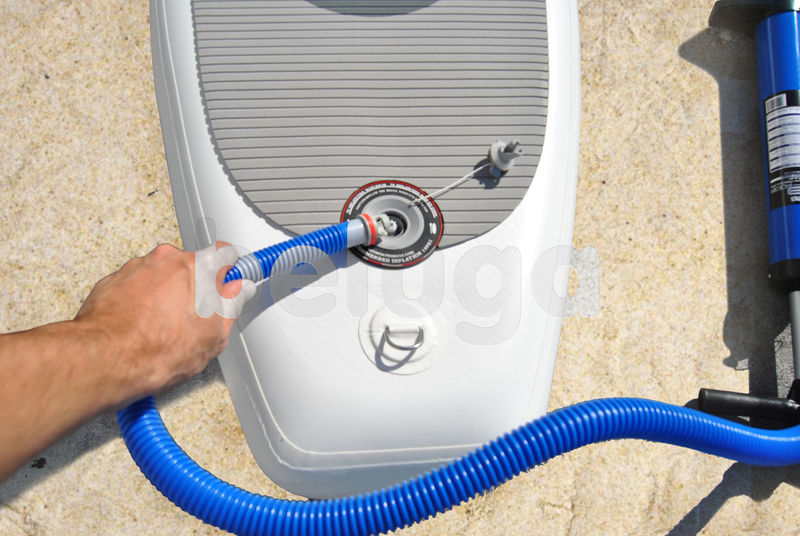 The creative team of Beluga is ready to satisfy any of your wishes and tastes providing the widest range of inflatable paddle boards and boats. 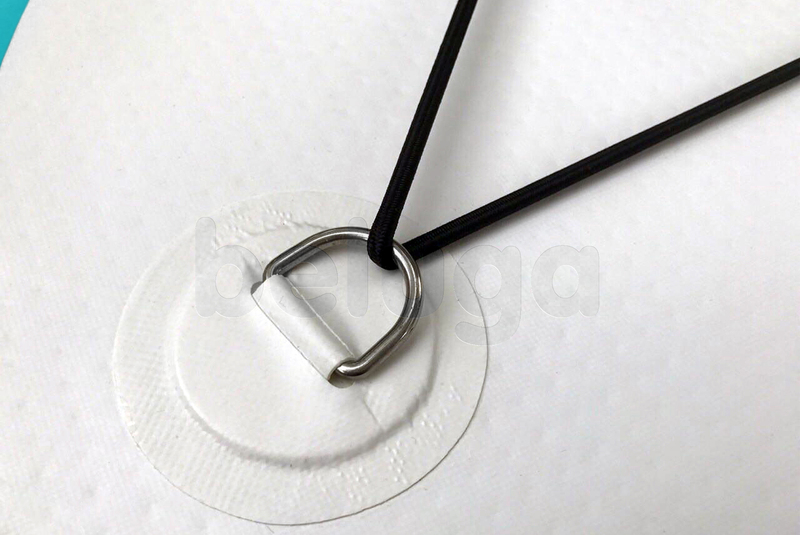 Our long experience and the use of the most progressive technologies help us to create excellent designs. 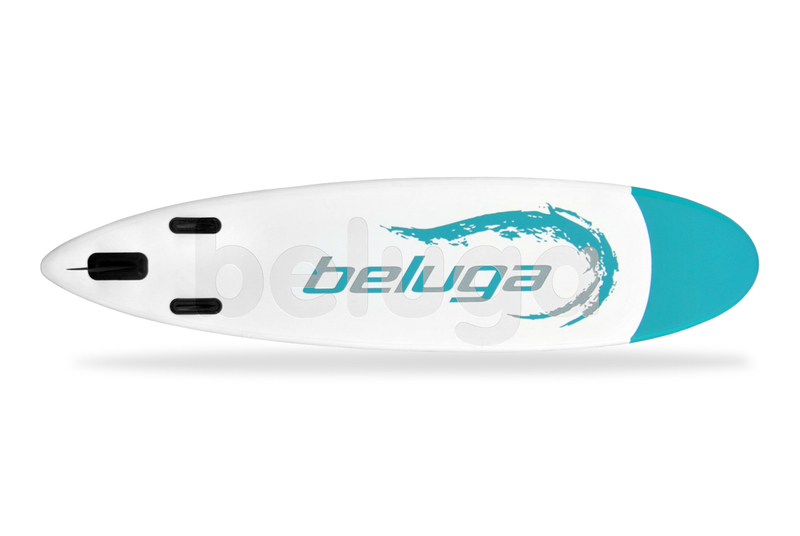 Beluga SUPs and inflatable boats are characterized with such features as light weight, long durability, nice performance and ease of use. Buy these products with maximum profit right now! Beluga works with reliable manufacturing partners and utilizes materials that reduce the impact of board manufacturing on the environment to save it for future generations.